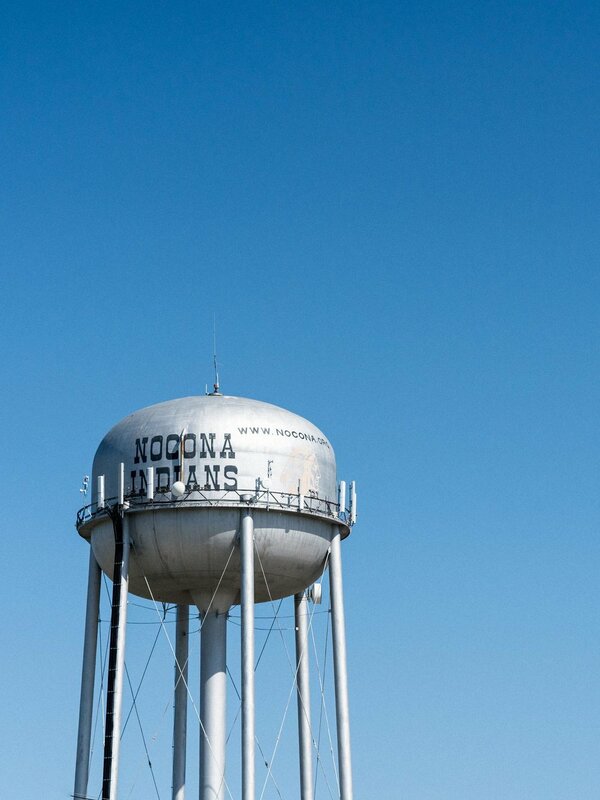 Nocona, TX. A town fixated in a time period and state of mind that is both mystical and irreplicable. From the moment you turn on Clay Street, you can feel it, but you aren’t really sure what “it” is yet. You get the sense that there is rich history and legacy running through its veins, and that every piece of its present has been completely inspired by its past. It’s not fundamentally rural, yet also not entranced in modernism. There’s an inherent friendliness that welcomes you in like a warm hug before ever meeting a soul. Downton Nocona is steeped in tastefully eclectic architecture, showcasing an aesthetic naturally inspired by the American West and finished with the whimsical vibrance of the French Quarters. Like the moment when you take the first sip of a good whiskey, your senses are saturated by the abundance of characteristics and elements, trying to decipher what it is that you are experiencing. At the helm of Clay Street, we are welcomed by the sight of a small, older yellow building, with a sign fixed atop the complex, which reads, "Nokona". 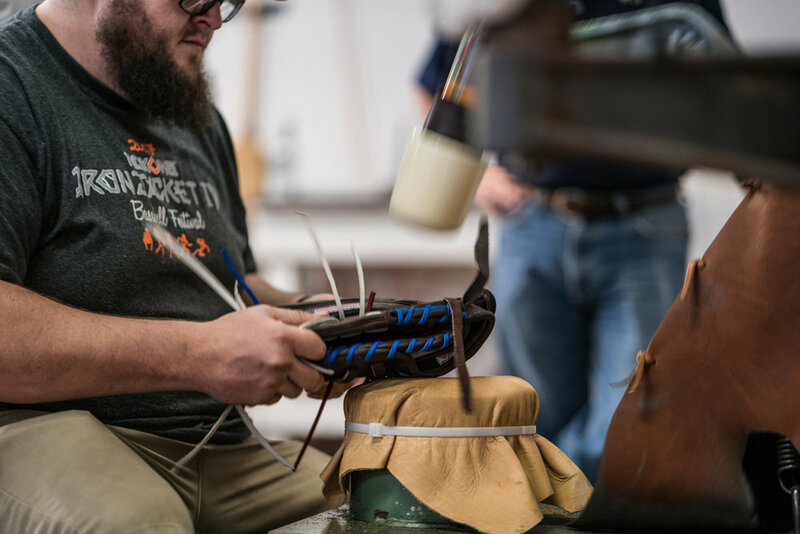 Nokona Gloves is one of the last known handmade ball glove makers in the United States. 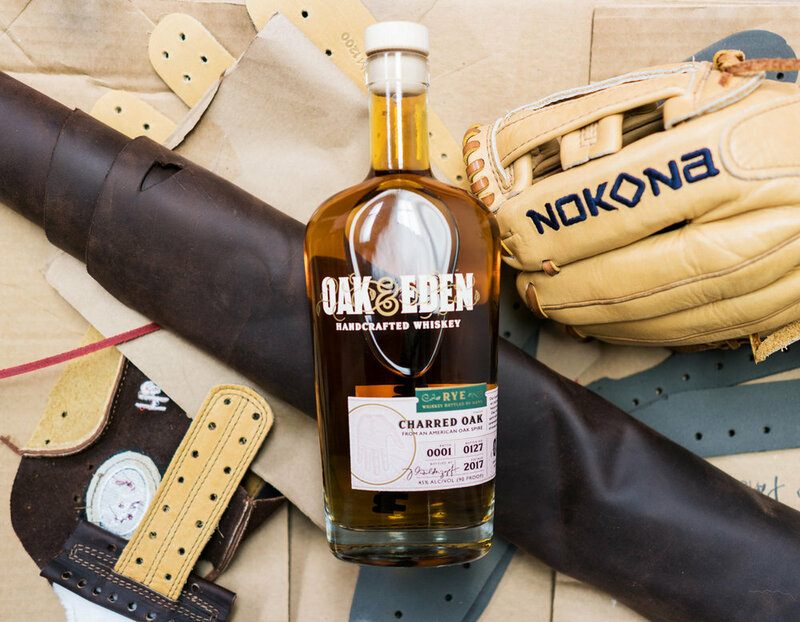 Since 1934, Nokona has been revered as one of the most coveted baseball gloves because of its quality and handcrafted process. Every Nokona glove is individually cut, stamped, stitched, laced, and embroidered, which gives each one its own unique identity and feel. Rob Storey is the third-generation successor of Nokona Gloves, which was founded by his grandfather Robert E. Storey. In the early 1930s, before making gloves, Nokona made wallets, purses and belts, but during the Depression, in order to offset the slump of sales, Storey decided to turn the business around by introducing athletic goods to the product line. 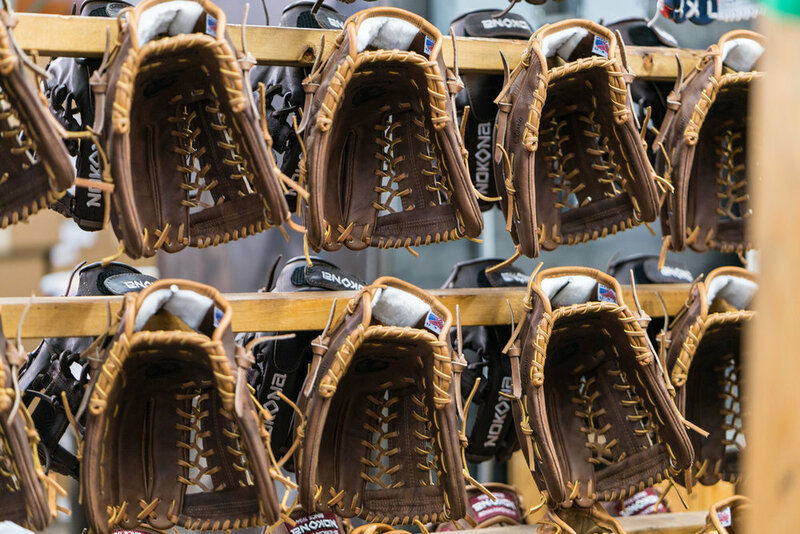 One thing led to another, and eventually, MLB players began using the glove (none more notable than Nolan Ryan), sporting good stores began carrying the gloves, the press picked up on it, and the brand became a national legend. We had the honor of sitting down over a glass of The Bourbon with Rob and learning more about Nokona and his intentionality for quality craftsmanship. how did nokona gloves get started? Rob: In 1926, a local banker named Cad McCall had loaned money to a small leather goods company making purses and wallets. Somehow they weren't having a go of it and had left Cad the business. They left town and left Cad all the assets, basically being leather equipment. He had the choice to either liquidate them or try to salvage what he had, so he decided to try to give it another go with the equipment. He went out to his friends, and in probably a little over six months, they raised a little over $50,000, which in today's currency is equivalent to about $600,000. In 1926, we reincorporated as Nocona Leather Goods Co. and began to make wallets and purses through the early part of World War II. In 1934, the United States Patent and Trademark Office would not allow the name of an incorporated town to be registered, so we changed the name to Nokona with a "k". Right about all the time that all this was happening, my granddad moved to Nocona from Mexia, TX, working for an oil company. One Saturday as he was strolling the downtown area, a girl's eye catches him and it happened to be the banker's daughter. They fell in love, got married, and then dad came along in July of '29. Around that same time, my granddad got his orders to move to Louisiana. His company had struck oil down there. The banker didn't want his daughter and new grandson to move to Louisiana, so he had to figure out a way to keep his son-in-law here. He offered him a job working in the purse factory. They soon realized they weren't going to make it long just selling purses and wallets and new they had to take a different route. There was already the boot company here in town, so by chance, they hit upon sporting goods because granddad played baseball in college. In 1934, we made our first leather glove. The next year, we made a football, then the next year, a football helmet. In 1982, Granddad was actually recognized for his contribution to the shape of the American football. We made footballs in 1965, football helmets until 2010, and then decided to get back to the basics of ball gloves about ten years ago. what is it that makes nokona so iconic? Rob: Well, when you've been doing something for over 80 years, you start to learn a thing or two about what it is you're good at. So much of what has driven our success today has a lot to do with our heritage and where we've come from. In the late '20s and early '30s when Nokona first got its start, you didn't have a choice on how you made your goods. Everything had to be made by hand. Because we didn't start out making athletic goods, instead my granddad had to focus on making the best possible product, no matter what it was or who he was selling it to. In the early '30s, once we got into making athletic goods, we began to perfect a process that became pretty iconic. We source the finest leather and grade each piece harshly to ensure we get the absolute best product into the customer's hand. We assemble each glove by hand from more than 20 individual pieces of leather, and with each step along the way, there is someone new inspecting the glove and making sure it's worthy to go to the next step. what do most people not know about nokona gloves? Rob: We didn't stop making football helmets until about ten years ago. We made really good helmets, but I realized we needed to place our focus on what we've done best for the past 80 years - leather ball gloves. what is your favorite part about Oak & Eden? Rob: Like Nokona, Oak and Eden not only focuses on crafting a fine product, but is also constantly able to innovate when possible. The oak spire inside the bottle is truly inspired.